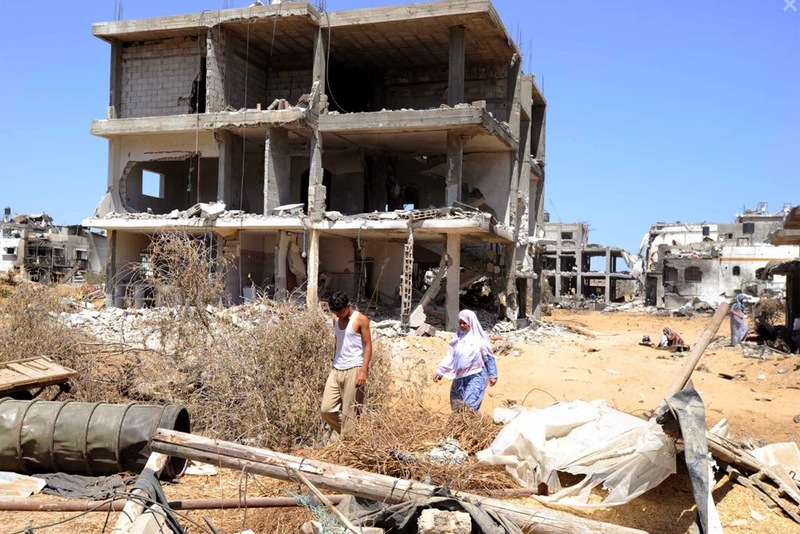 UN – Nearly eight months after the ceasefire that ended the most recent hostilities in the Gaza Strip, not a single destroyed home has been rebuilt in the enclave, according to the United Nations agency mandated with ensuring the well-being of Palestine refugees. “To date 9,161 Palestine refugee houses have been considered totally destroyed and 5,066 have suffered severe, 4,085 major and 124,782 minor damages,” said Chris Gunness, spokesperson for the UN Relief and Works Agency for Palestine Refugees in the Near East (UNRWA). Due to the agency’s lack of funding, 685 families still have not received the transitional rental subsidy for the period from September to December 2014. Some 9,000 refugee families are waiting for the first quarter of 2015 payment and 7,400 families have not received their $500 reintegration grant, he added. Over 62,500 families are awaiting assistance to commence with minor repairs to their damaged shelter. “UNRWA has processed all these cases and as soon as funding is secured the Agency will be able to distribute the urgently needed cash assistance,” Mr. Gunness said. Another 11,500 families whose homes were totally or severely destroyed have received a one-time rental subsidy payment typically covering a four-month period. Of the families receiving transitional shelter cash assistance, nearly 9,000 also benefited from the $500 reintegration grant. During the last summer conflict, a total of 548 Palestinian children lost their lives and about 1,000 children were injured – “some so badly that they will have to live the rest of their lives with disabilities,” Mr. Gunness said. “Thousands more were displaced. The unprecedented human, social and physical devastation during the July/August 2014 hostilities had thus a particular impact on children and many are in need of psycho-social support,” he stated. The UNRWA Summer Fun Weeks is a programme implemented by the agency to support refugee children’s psychosocial needs by providing them with a safe place to play and develop friendships through sports activities, handicrafts, drawing or theatre. This year’s events will take place between 25 July and 13 August in 120 different locations across the Gaza Strip.